Myriad Case is not only the world’s most versatile battery case, but also doubles as the world’s simplest and most refined modular case, utilizing just a few key components. No more confusion and no more complexity, just simple, refined modularity. Design is a critical component of Myriad Case – we wanted to create a case that not only looks stunning, but has function to accompany its looks. 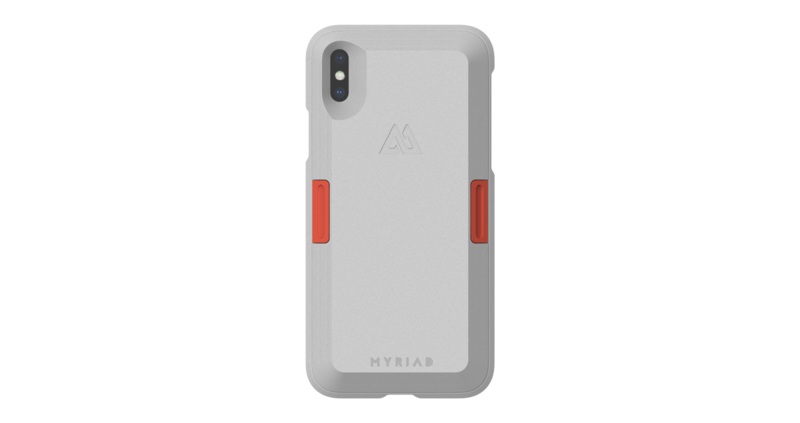 Beautiful, glossy chamfered edges and robust curves make up the design of the Myriad Case, which offers a better grip and a much cleaner, sharper styling. 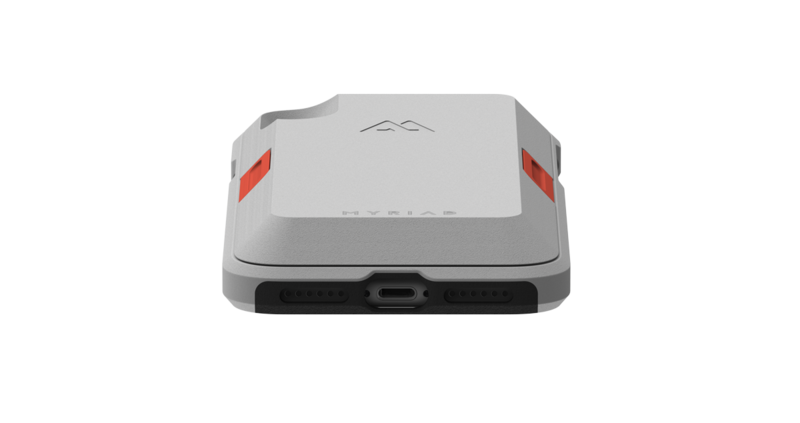 Unlike other existing battery cases, Myriad Case does not plug into the lightning port on your phone. In fact, it doesn’t plug in anywhere, thanks to our patent pending wireless charging tech. Charge and listen to music, or use any other Lightning-enabled device while charging. Myriad Power adds zero bulk to the bottom of your iPhone, eliminating one of the most annoying parts of other battery cases. Because Myriad Power detaches from the bumper, you’re able to share it with your friends and family when their phone needs a boost. The best part is that they don’t even need to have a Myriad Case, just a smartphone with wireless charging capabilities – including iPhone 8/8 Plus, X, XR, and XS/XS Max.